The city of Nottingham, home for the recent PG Mutual 2017 English National Championships, was also the host for a meeting of the English branch of the Swaythling Club International, the gathering was held on Sunday 5th March; the concluding day of play in a tournament that has received universal acclaim for the high standard of presentation. Notably Ebby and Diane Schöler, the respective President and Honorary President of the Swaythling Club International were present. It was reported that the English Branch had one new member, Beverley Godfrey, thus increasing the total to 18 in number. Beverley is perhaps better known under her maiden name and as one of the Sayer twins; sister Gloria Wagener, is the Secretary of the Swaythling Club International. 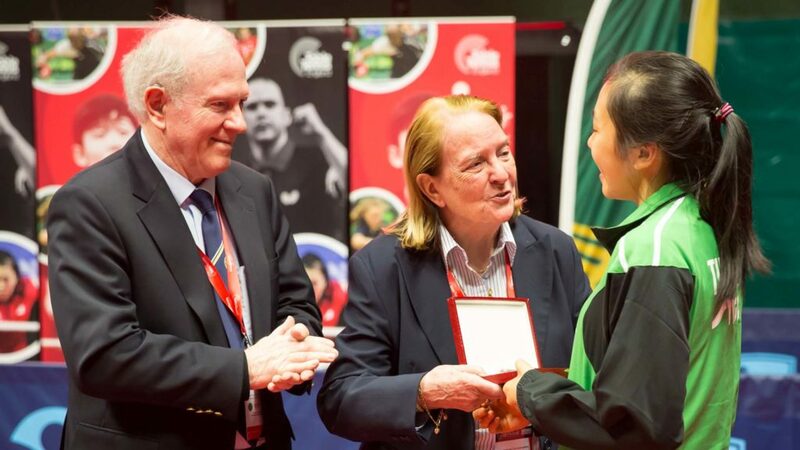 Payment of membership fees was discussed, the agreement being reached that fees could be paid to Table Tennis England who will transfer the money to bank account of the Swaythling Club International. Ebby Schöler addressed the meeting; he explained the wider work of the Swaythling Club International and detailed the progress being made towards hosting the 2018 World Veteran Championships in Las Vegas.